I love these Fresh 48 sessions not only because I get to photograph the baby and the whole family, but also because I get to know my clients in a very intimate time and allows me to create a deeper connection with them. I remember Ann and Gary's phone call when they told me they had found me on Pinterest (wait what?). I am a little bit clueless when it comes to Pinterest platform, but I am very happy that they found me there!!! We had an instant connection, Jameson's dad is an brilliant artist (www.pijpoj.com) and mom is a teacher with a very contagious laugh. They are such a cute couple!!!! I arrived at the hospital in Livingston, NJ in the morning and the whole family was waiting for me to take pictures of each one of them with baby Jameson. How incredible is to be part of this??? 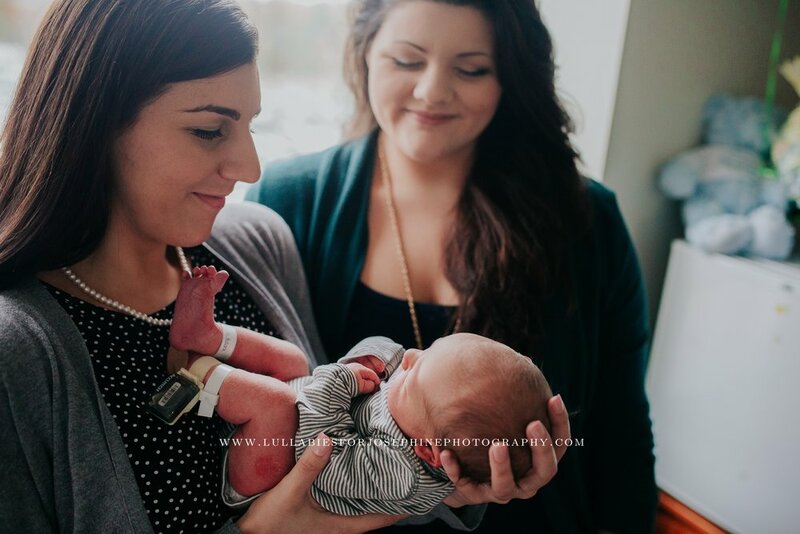 I am so honored that this amazing family chose me as their baby photographer! Stay tuned for Jameson's studio session photos!!! Blog post coming soon! Would you like to know more about Fresh 48 sessions? Fantastic! Click HERE to get in touch with me!